Anna in the Tropics, 2016. Photo by Gregg Le Blanc. Ross Valley Players holds open auditions for every show we produce. To receive all audition notices, please click HERE. We welcome you to join our wonderful group of collaborators in making professionally-oriented, high-quality live theatre in Marin. We are the oldest continually operating theatre company on the West Coast. 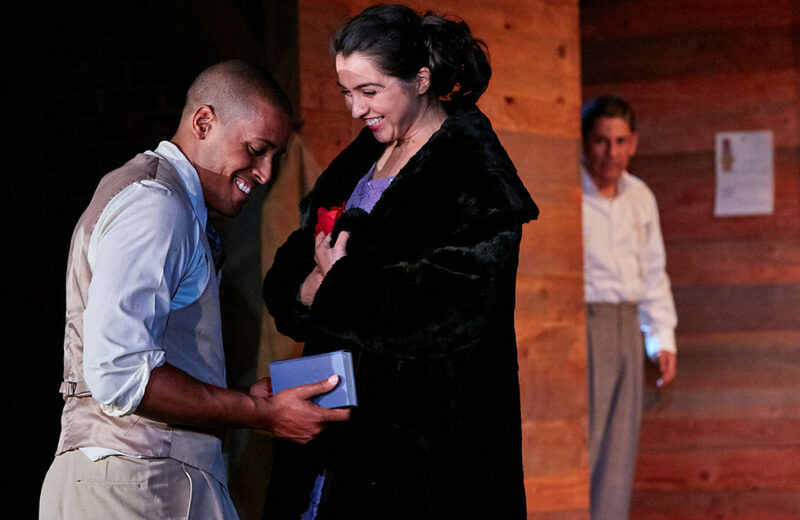 Wonderful Non-AEA actors come from throughout the Bay Area to play on our historic stage. Our houses our well-attended, parking is free and easy, and we offer a stipend. We have been nominated for and have received Bay Area Theatre Critics Circle Awards, Dean Goodman Awards, and Theatre Bay Area Awards. Inherited the manor house from her deceased aunt, and is converting it into a boarding house, with her husband, Giles. They have been married only one year. Mollie strives to make the boarding house and the marriage successful. Mollie’s determined partner in marriage and business. Driven to succeed and protective of Mollie. An eccentric, mysterious young man, who has sought refuge in the boarding house. An arrogant, dissatisfied woman who imposes her will on all around her. Military in bearing and demeanor. Agile and observant. Helpful to all. A confident, independent young woman on a mysterious mission. Roguish and charming, he arrives at the boarding house after his car overturns in a snowdrift. Appears to be hiding his true background and disguising his appearance. A professional, methodical young detective. He conducts a thorough investigation to reveal the identity of the murderer.